In a world of fierce competition, the ultimate difference between businesses that succeed and those that don’t is customer retention. 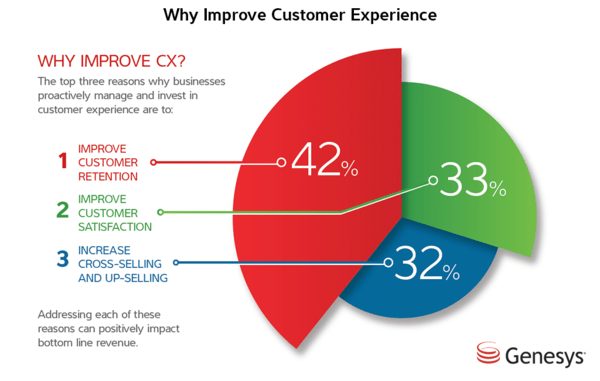 The problem is that many companies drive customers away with poor customer retention initiatives or even a complete lack of a customer retention strategy. Taking into account that 80% of a company’s future revenue will come from just 20% of their existing customers, as was found by Gartner Group, failing to keep those customers around for the long-run can actually mean huge financial losses for businesses. The benefits of strong customer retention are enormous. 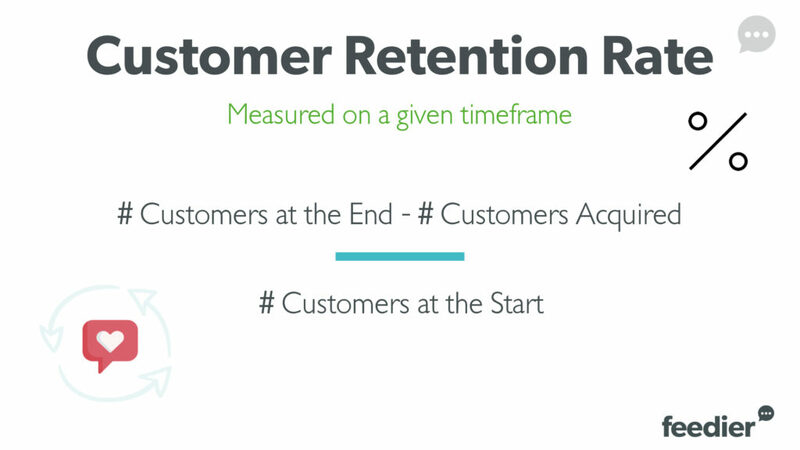 Customer retention rate refers to the percentage of existing customers an organization managed to retain during a measured period. In other words, it shows how well your business is performing when it comes to keeping its customers. Depending on the business, the retention rate can be measured monthly, quarterly, annually or during any other specific period. The goal of a business is certainly to keep customer retention rates as high as possible. While the ideal rate is 100%, which would literally mean your business didn’t lose a single customer over a certain period, obviously this isn’t the number you should be aiming at. So what’s a good average customer retention rate by industry? According to Mixpanel’s 2017 Product Benchmarks report, the average 8-week retention is below 20% for most industries. For products in the finance or media industry, an 8-week retention rate over 25% is considered elite. For the e-commerce and SaaS industries over 35% is considered above average. Your products or services lack quality and innovation while your competitors are far ahead. Your marketing efforts are mainly focused on acquiring new clients rather than retaining them. Your customer service is less than perfect and requires drastic improvement. You don’t encourage consistent two-way communication with your customers. You completely ignore customers’ feedback and never implement their suggestions. You haven’t given your customers a good reason to return for repeat purchase. You never show them that you actually care and appreciate they have chosen your business. How do you create an actionable customer retention strategy that keeps your customers coming back over and over again? Below are some of the most efficient tactics to increase customer retention you can start implementing right away. Despite the growing significance of customer experience, product still remains the major battleground for brand loyalty. A Yotpo survey on American shoppers’ attitudes towards customer loyalty in 2018 revealed that over 55% of consumers are brand loyal because they love the product, and poor product quality is the number one reason why a brand would lose a loyal customer (51%). If you have a solid customer base and you have already built a strong brand position on the market – investing in constantly improving your offerings is paramount, as your competitors are only a few clicks away. Companies like Apple and Amazon persistently focus on innovation as part of their culture, which is why they manage to maintain about 90% customer retention rate year over year. Consistently offering excellent customer service is one of the most important steps in the customer retention process. The mentioned above survey by Yotpo found that second to poor product quality, sub-par customer service will drive away 23.5% of loyal customers, which means that even brands with ground-breaking products can lose customers if they fail to deliver quality service. Microsoft’s 2017 State of Global Customer Service Report also showed that for 96% of consumers customer service is important in their choice of loyalty to a brand. Going the extra mile and exceeding customers’ expectations. Gathering customer feedback about the experience they have with your brand can provide you with valuable insights you can use to adjust your business to better fit their needs, improve customer satisfaction and retention. You can also re-establish relationships with customers who haven’t returned to your business in a while through direct outreach by asking their feedback, suggestions and ideas you could implement in order to improve your products or services. Showing that you value their opinions can help to win back their loyalty. However, it’s crucial to not only collect customer feedback, but to actually act on it. In a survey by Apptentive 97% of consumers said they are somewhat likely to become more loyal to a company that implements their feedback, while 55% of consumers said they are not likely to continue being a customer of a company that ignores their feedback. 55% of consumers said they are not likely to continue being a customer of a company that ignores their feedback. Customer loyalty programs are an effective way to drive customer retention and encourage repeat purchases. The Loyalty Report 2018 by Bond Brand Loyalty found that consumers spend 37% more with brands when they are a loyalty program member. Moreover, a growing number of consumers (37%), are even willing to pay a fee for access to enhanced loyalty program benefits. Being overwhelmed by too many emails. What motivates consumers to engage in loyalty programs? The 2017 COLLOQUY Loyalty Census research revealed that ease of use is the main reason for participating in a loyalty program for 53% of U.S. consumers. Other reasons that were cited included “gives me great discounts” (39%) and “easy to understand” (37%). Conversely, the most commonly cited reasons for abandoning a customer loyalty program were “it took too long to earn points of rewards” (57%) and “it did not provide rewards I was interested in” (53%). Simple and honest “thank you” means more than you might think. Regularly showing your customers how much you value them is an important factor in fostering long-lasting relationships, building emotional connections and increasing retention. For instance, instead of simply asking for feedback. Create a 2-way flow: ask for feedback, and give something back. Offer him a reward, aka incentive, for the time spent to help you. Spoiler: you’ll also get better feedback. Read on. 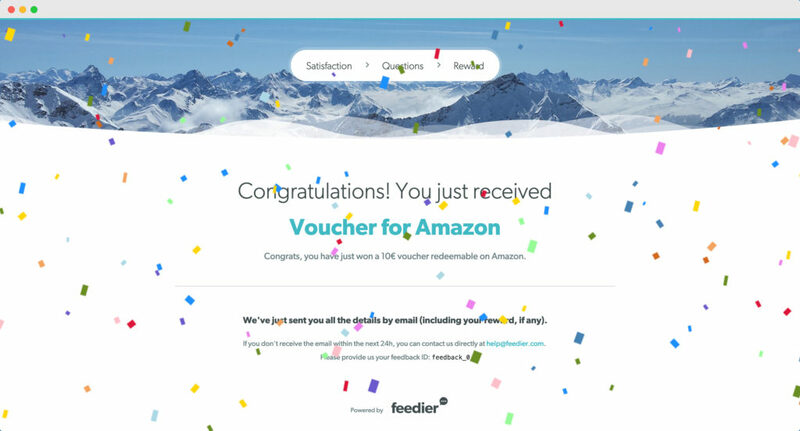 Example of survey incentive with Feedier. In fact, consumers’ emotions play a critical role in determining which brands they are loyal to, according to the Capgemini’s report ‘Loyalty Deciphered – How Emotions Drive Genuine Engagement’. The study found that 82% of consumers with high emotional engagement would always buy the brand they are loyal to when making purchasing decisions, while 70% are willing to spend up to twice as much with those brands. Send thank you emails or handwritten thank you notes. Send personalized gifts that are valuable and memorable. Give away free products or services from your business. Offer post-purchase discounts or exclusive deals. Give extra loyalty points to your loyalty program members. Give the gift of learning – free coaching, webinars, online courses etc. Host special events – and make sure they are fun and informative. Feature your loyal customers on your blog/ social media pages. Celebrate customers’ birthdays or other important milestones. Make a donation to a charity in honor of your most loyal customers. Low customer retention can be a significant revenue drain for businesses, given that statistically acquiring a new customer is anywhere from 5 to 25 times more expensive than retaining an existing one. Investing in product improvement, delivering outstanding service, making use of customer feedback, offering loyalty programs and showing customer appreciation are some of the most essential customer retention strategies that will give your customers the incentive and desire to come back for repeat purchases. 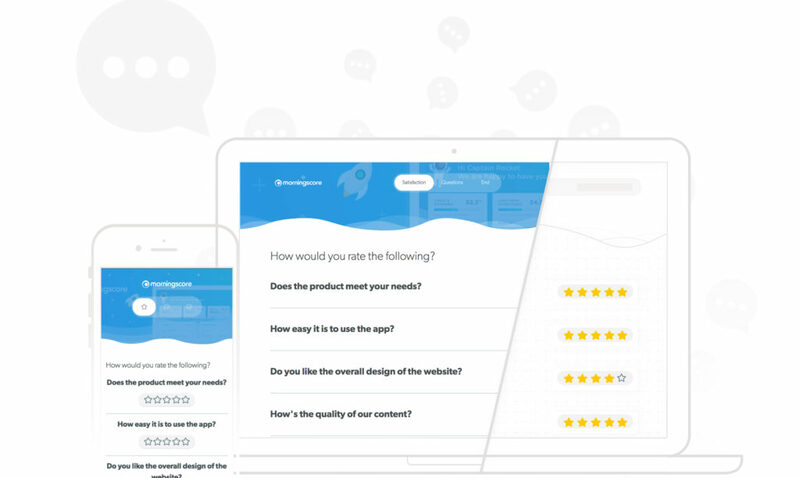 Using an attractive customer feedback tool, listen, understand, and delight your customers. Matej Kukucka is a Senior Growth Marketer at LiveAgent, an all-in-one helpdesk software.